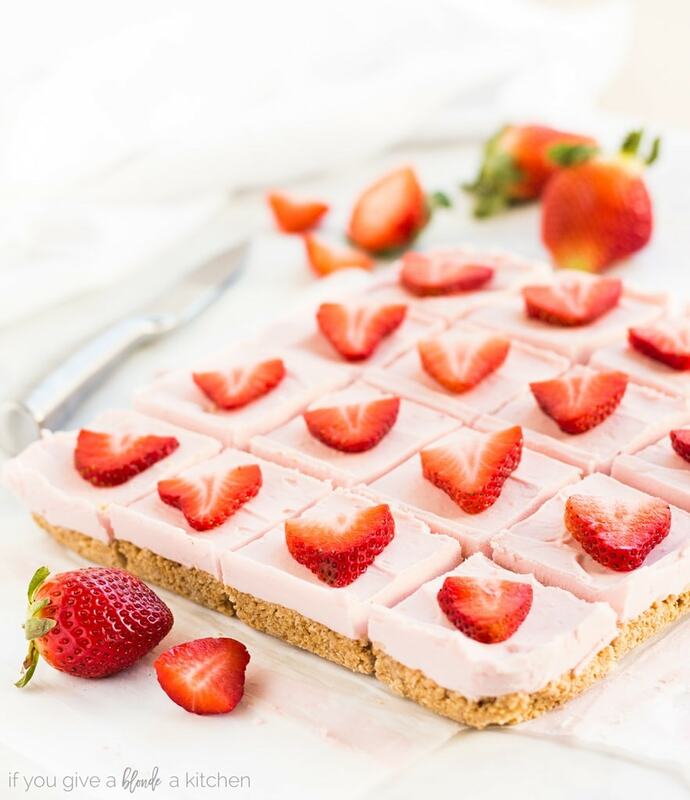 No bake strawberry cheesecake bars are a sweet treat to make for Valentine’s Day or for summer parties! 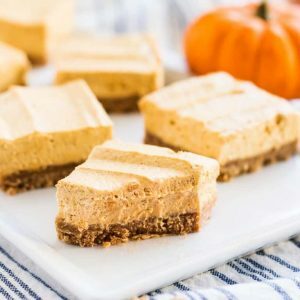 If I told you cheesecake could taste just as good without baking it, would you believe me? 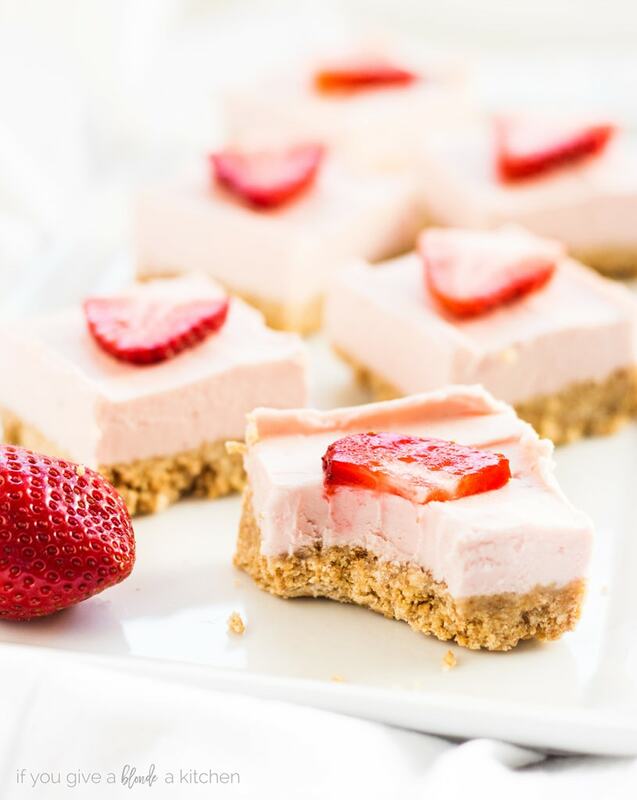 I can put up a pretty good argument with these no bake strawberry cheesecake bars. All you need to do to make no bake cheesecake is to omit the eggs. I sweeten the cream cheese with powdered sugar to keep the silky smooth texture and add a little vanilla for good measure. Now to make the strawberry flavor takes a little more time. You need to extract the juice then discard the berry pulp and seeds. To do this I microwaved the strawberries, mashed them, and pressed them through a fine mesh strain to separate the juice. 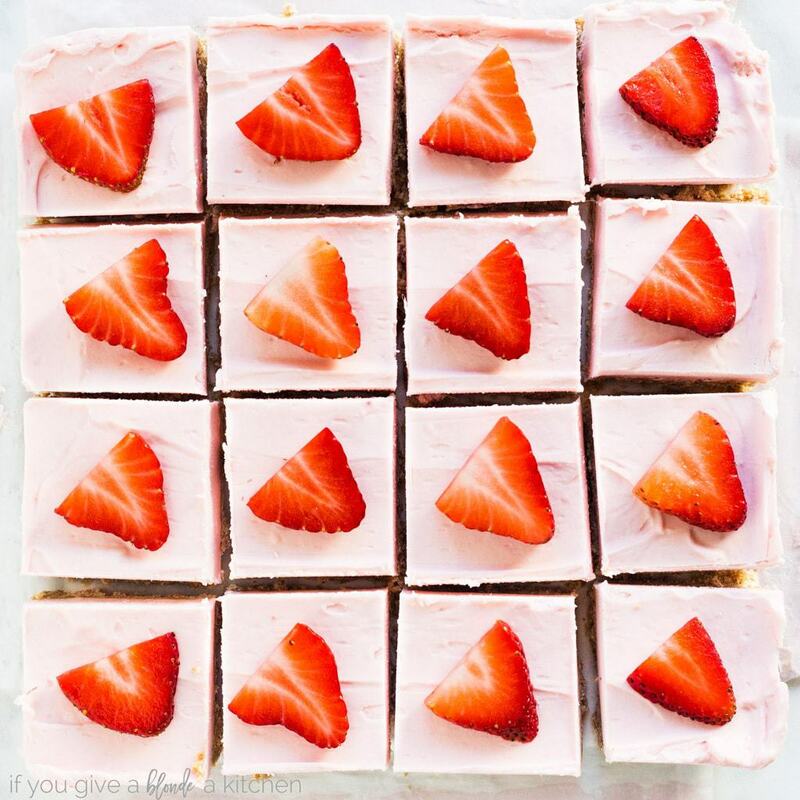 It just taste a few extra steps, but it’s well worth it for that perfect strawberry flavor. I recommend using the ripest berries you can find or using frozen berries. 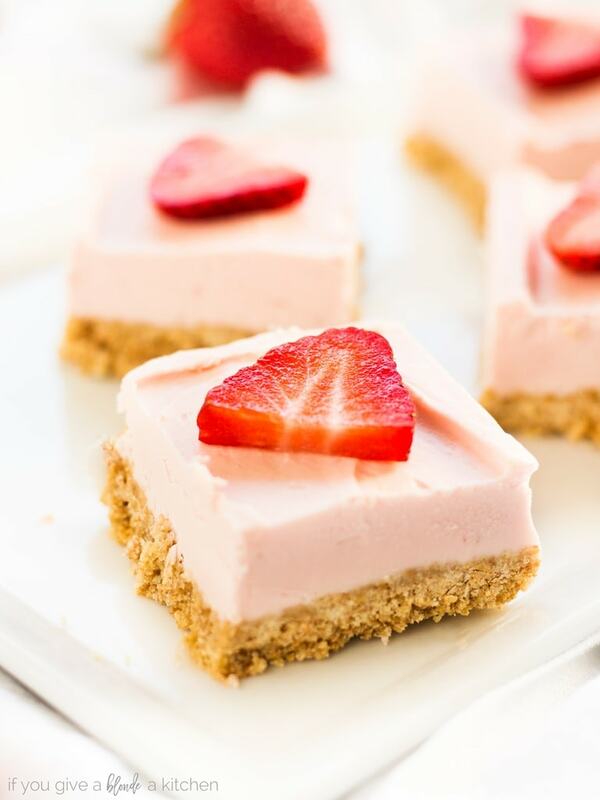 Either way, the cheesecake filling will turn a beautiful blush color. And let’s not forget the graham cracker crust. That sturdy base is oh-so delicious (and also no bake!). Simply combine crushed graham crackers, confectioner’s sugar and melted butter to make the crust. 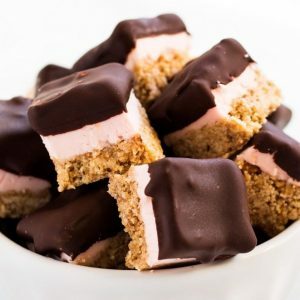 With Valentine’s Day in sight, I suggest making the no bake strawberry cheesecake bars for your sweetheart (or trying the bite-sized recipe). I’m going to save the recipe and make it again this summer (when I don’t feel like turning the oven on). 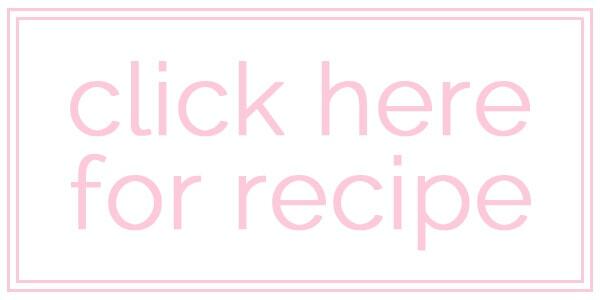 For this recipe, I partnered with Ashley at Spoonful of Flavor. Head on over to her blog to find the full recipe and while you’re there, take a poke around for more delicious food!